Though the wonders of ancient Roman culture continue to attract interest across the disciplines, it is difficult to find a lively, accessible collection of the full range of the era's literature in English. 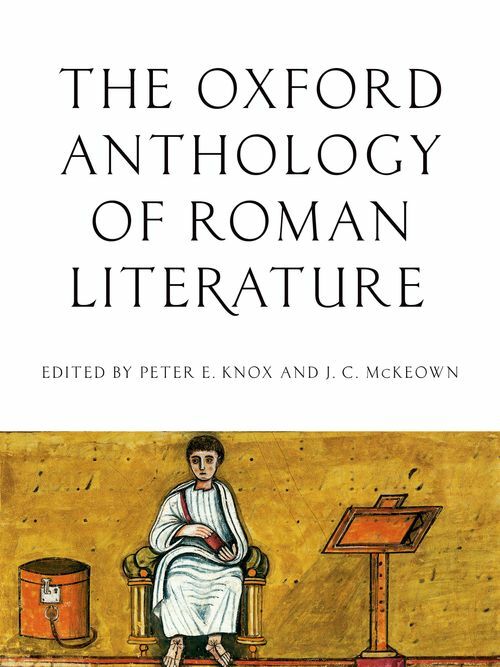 The Oxford Anthology of Literature in the Roman World provides a general introduction to the literature of the Roman empire at its zenith, between the second century BC and the second century AD. Two features of this extraordinarily fertile period in literary achievement as evidenced by this anthology are immediately and repeatedly clear: how similar the Romans' view of the world was to our own and, perhaps even more obviously, how different it was. Most of the authors included in the anthology wrote in Latin, but as the anthology moves forward in time, relevant Greek texts that reflect the cultural diversity of Roman literary life are also included, something no other such anthology has done in the past. Roman literature was wonderfully creative and diverse, and the texts in this volume were chosen from a broad range of genres: drama, epic, philosophy, satire, lyric poetry, love poetry. By its very nature an anthology can abbreviate and thus obscure the most attractive features of even a masterpiece, so the two editors have not only selected texts that capture the essence of the respective authors, but also have included accompanying introductions and afterwords that will guide the reader in pursuing further reading. The presentations of the selections are enlivened with illustrations that locate the works within the contexts of the world in which they were written and enjoyed. The student and general reader will come away from this learned yet entertaining anthology with a fuller appreciation of the place occupied by literature in the Roman world. Peter E. Knox is Professor of Classics at the University of Colorado at Boulder. J. C. McKeown is Professor of Classics at the University of Wisconson at Madison.